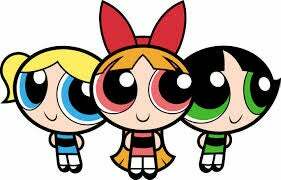 I assume that the Powerpuff Girls, Bubbles, Blossom and Buttercup, are roughly the same age as my daughter. Seven seems like a reasonable age for these girls to be. It seems like some people don't see it that way. This is the subscription only cover to Powerpuff Girls #6 that Cartoon Network is pulling after controversy arose over the way the girls are portrayed. The issue is clear here. Not only have grammar school aged girls been aged up and sexualized, but the artist also kept certain design details like Blossom's bow and Bubbles' pigtails that really crank up the perviness of the drawing. This is Rule 34 territory, prevalent on the internet, but not appropriate for retail sale in any way. Obviously, Cartoon Network had no choice but to pull this issue when they started to receive complaints about the cover. The bigger question is how this cover was ever approved to begin with. Cartoon Network commissioned artist Mimi Yoon for the cover to this issue. You can look through her portfolio and come to your own conclusion about whether her art is appropriate to the Powerpuff Girls, but what should be clear is that the cover she turned in isn't. She didn't approve her own art for the issue, so the fault lies with the editors at IDW and executives at Cartoon Network. It shouldn't have been that much of a challenge to look at that cover and say "It's very nice, but it just isn't what we were looking for." This has to be the creepiest thing that Cartoon Network has done with the Powerpuff Girls since these Halloween costumes. EDIT: The Mary Sue has more information on this story including the fact that this cover art was originally mandated by Cartoon Network.